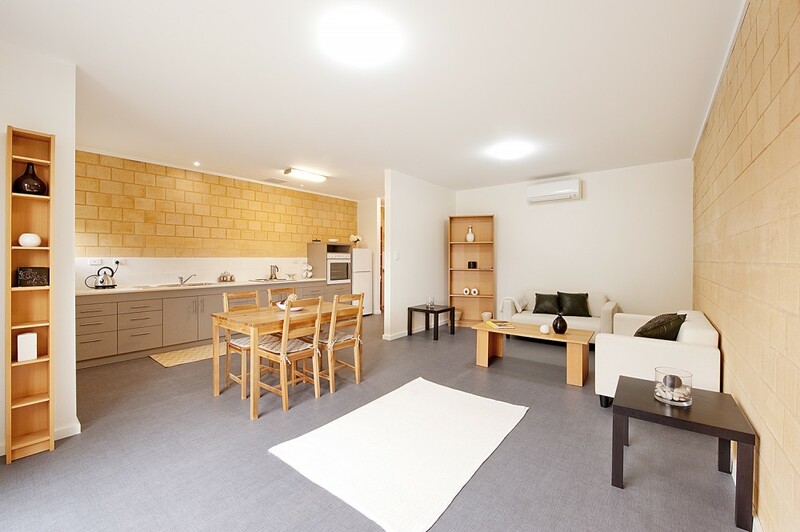 A group of aged previously homeless people are accommodated in this residential environment, required to give its occupants a sense of being valued and a feeling of pride in their home. 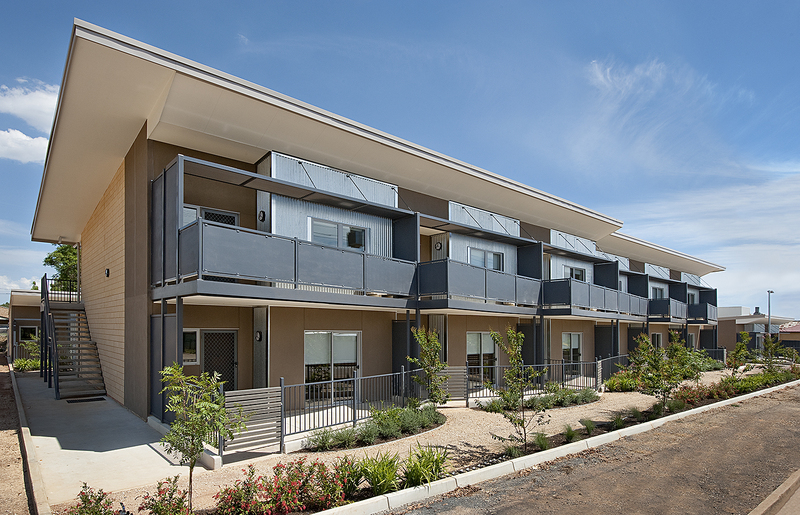 Residents rent their own apartments, which are robust, easy to maintain, and inexpensive to heat and cool. 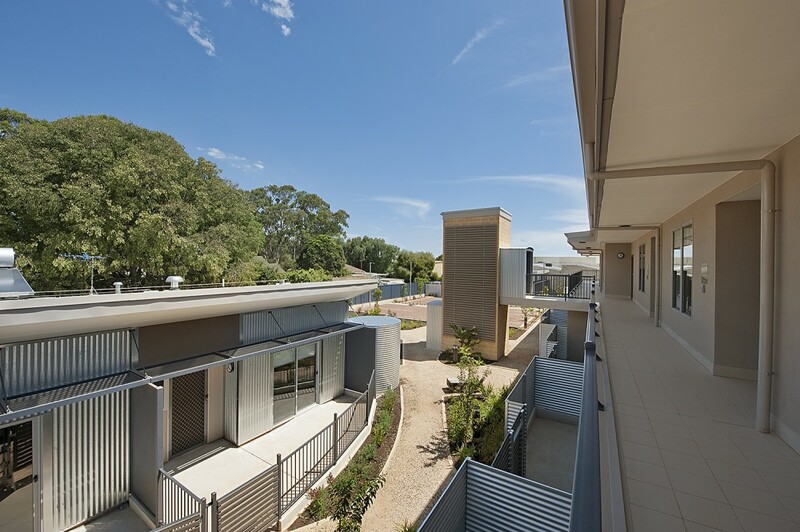 The project outcome contributes positively to client and user needs with a higher than anticipated level of energy efficiency, with quality architectural and landscape outcomes externally, and with the amenity and quality of inside spaces. 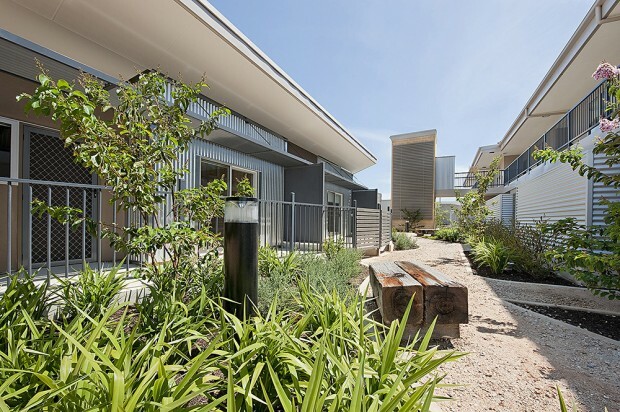 The requirements of the client and building users were met within an exacting budget, including provision of: maximised independent accommodation, including disability access in all internal and external spaces and flexibility for future use adjustments; integrated private and public open space; relationship to landscaping and streetscape; minimised ongoing maintenance costs; flexible car parking spaces (current need is small but future needs may require more); thermal performance throughout the year without reliance on air conditioning; functional, aesthetic and welcoming living environments, internally and externally—without any hint of institutional character. Overall the intensive use of landscaping, expressive of Australian bush in urban context, enables separation from private to semi-private to public and contextualises the buildings within their own environment and with the streetscape. WAX Design provided invaluable creative input. The car park works particularly well with its permeable paving and flexibility for expansion to satisfy possible future needs. Water Sensitive Urban Design principles are applied throughout the site. The architecture brings a three dimensional relationship to the austere industrial streetscape on adjacent sites to the west. To accommodate 18 dwellings, a two story component and a group of semi detached single storey dwellings are arranged around the site. The lines of the dwellings are articulated one from another to reduce the flat ‘facade-ism’ that would have appeared institutional. The two-storey component is broken up with a series of individual balconies at the second level and by garden plots at the ground floor level. A mixture of materials, a skillion roof sloping up to the north, and sun shade devices together with the balconies, produce a softer elevation—creating an almost woven effect. Feedback from client and users is extremely positive about the level of comfort and energy efficiency, outlook from spaces, and relationship with context. 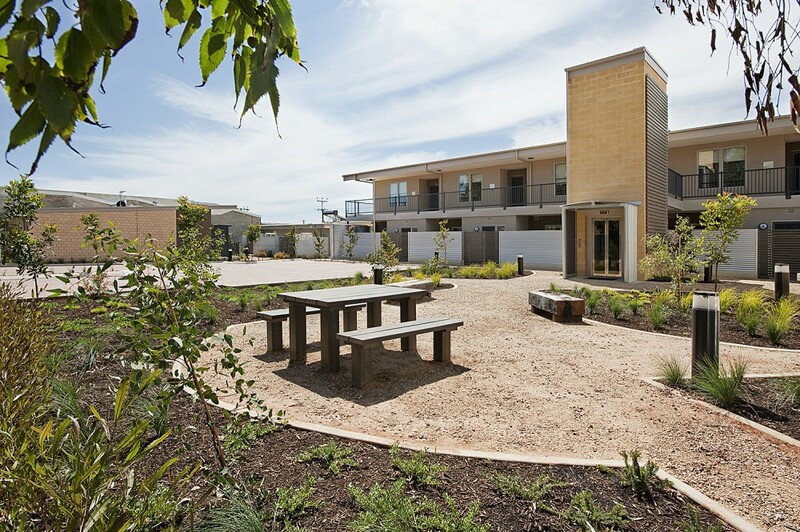 Some of the car parking space is occupied with productive gardens; the small communal area is used frequently; and occupants are without complaint.